BEAUTIFUL! Rarely available iconic oceanfront Castle Surf! Spacious & gorgeous condo home with cool breezes & side ocean view. Open island living with added living space from enclosed lanai. Large open rooms with custom storage & organization systems. Private & quiet. A few steps from your front door & you are in the ocean ... paddle to your favorite surf spot, stand-up boarding, or morning swim. Washer/dryer in unit. Large oceanfront bldg relaxation deck with private gate & steps into the ocean. Sand access. 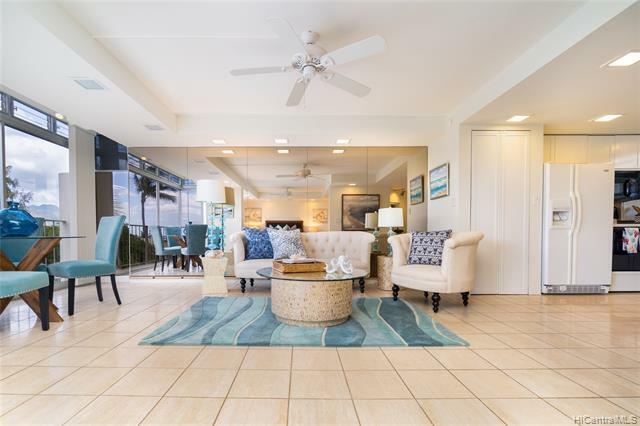 2-3 minute walk to Outrigger Canoe Club & Elks Club. At the foot of Diamond Head & next to historical Dillingham Fountain. Secured extra storage. Maintenance fee incl electricity, basic cable, etc. Maintenance fee increase $1045/month effec 3/2019. Ultra special lifestyle.